The 9.7-inch iPad Pro won't be available until March 31, but a few media outlets were able to review it. The new iPad seems more manageable than its monster predecessor. 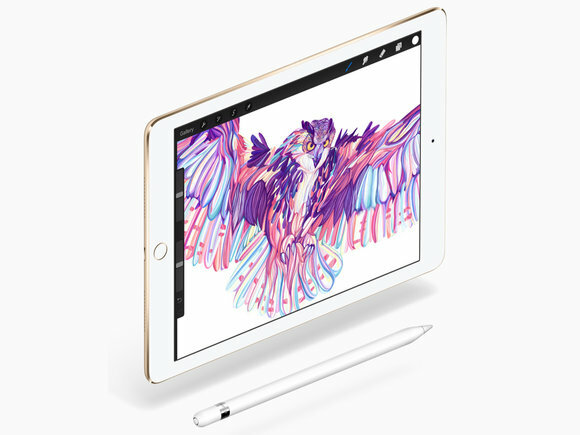 When Apple released the 9.7-inch iPad Pro, the iPad lineup became a little more complicated. Which model should you get? A product review can help you make a decision. For many active but less-demanding users, the strength of the hardware and the relative simplicity of the software could be enough to recommend it, though for the time being there are things that regular old Windows PCs are just better at than iOS is (including running legacy apps and connecting to just about anything that needs a standard USB port). It really depends on how you work and what you need to do, and we can’t answer all of those questions for you. This can still be your everyday iPad, and better so than ever, but it can also be your ultra-mobile productivity machine, with little in the way of compromises. Sure, you lose some display and keyboard real estate, but you gain portability and an excellent camera system. And it turns the iPad Pro into an extremely effective laptop alternative, complete with touchscreen, unlike Apple’s own laptops. In fact, the touchscreen works so well with the iPad Pro and keyboard, it’s hard to think Apple isn’t considering making a MacBook with touch-sensitive display. We’ll see. After all, at the product’s launch, Apple’s Phil Schiller said that the majority of people coming to the bigger iPad Pro had come from Windows PCs. Proof, if of nothing else, that the iPad Pro series are immensely powerful machines and can be taken seriously. I don’t know if this new Pro model will revitalize the iPad market, but with the 9.7-inch iPad Pro, Apple has certainly given it its best effort. I know I will find it hard to switch back to using an iPad Air 2. Stay tuned for the definitive Macworld review of the 9.7-inch iPad Pro.